The Uncharted movie has found a new director. Late last year, we got the news that Stranger Things producer and Night at the Museum director Shawn Levy had departed the video game adaptation after spending a good deal of time developing it with Sony. Unfortunately, scheduling conflicts got in the way of him being able to actually see it through to the end. Now, we have word that 10 Cloverfield Lane director Dan Trachtenberg will be the latest filmmaker to take a crack at bringing the tale of Nathan Drake to the big screen. 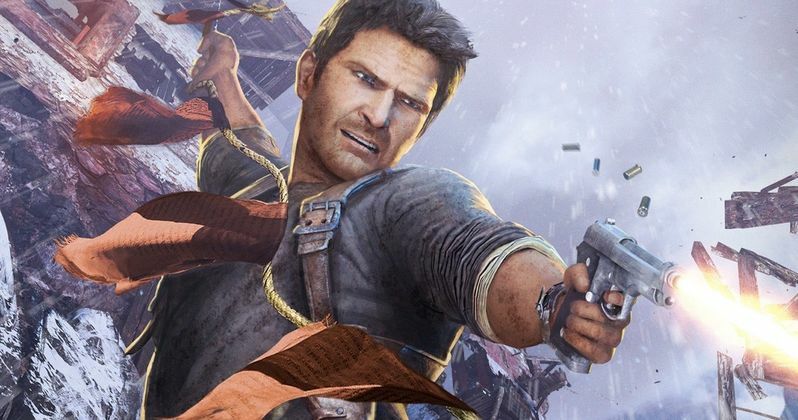 According to a new report, Dan Trachtenberg has signed on to direct the Uncharted movie, with Spider-Man: Homecoming and Avengers: Infinity War star Tom Holland still expected to star as Nathan Drake. Originally, the idea was to have an older, more seasoned actor such as Mark Wahlberg or Bradley Cooper (who were both attached to the project at various stages during its development) play the part. However, after Holland broke out as the new Spider-Man, they decided going with a younger version of the character was a good idea. The hope is that they can build a long-term franchise. As for Dan Trachtenberg, he certainly makes for an interesting choice. Trachtenberg came on Hollywood's radar with 10 Cloverfield Lane in 2016, which was a surprise spin-off/sequel to 2008's Cloverfield. Trachtenberg hasn't directed a movie since. He has, however, been on several studios' radar and Sony has snatched him up. Trachtenberg is also developing a movie based on the video game Portal and, most recently, shot the pilot for Amazon's comic book adaptation The Boys, which is set to premiere later this year. He also helmed the well-regarded Black Mirror episode Playtest. He's just the latest to take a stab at adapting Uncharted, which has been a wildly popular video game series for Sony ever since it launched. Others who have spent time with the project over the years include The Grey director Joe Carnahan and American Hustle helmer David O. Russell, just to name a couple. Shawn Levy, before departing, revealed that the script for the movie has been completed. The most recent draft was written by Jonathan Rosenberg and Mark Walker. The idea is based on a sequence from Uncharted 3: Drake's Deception, which serves as a prequel to the events of the rest of the game series and shows how Nathan met his partner, Sullivan, aka Sully. This movie has had a lot of bumps in the road up to this point. However, this latest report does indicate that Sony hopes to begin production before the end of the year. They just need to work around Tom Holland's press schedule for Spider-Man: Far From Home, which is set to hit theaters in July. With any luck, that means the Uncharted movie could actually, finally begin filming by the end of the summer. Uncharted is currently without a release date. We'll be sure to keep you posted as further details on the project are made available. This news was first reported by Variety.